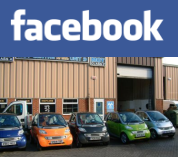 Used Smart Cars For Sale, Smart Car Engines, Servicing, Repairs and Recovery Service in Kent. Chequered Flag are specialist Smart Car dealers based in Kent, offering a comprehensive selection of used Smart Cars for sale, and provide quality services to you including Smart Car engine servicing, repairs and a Smart Car recovery service anywhere in the UK. Here at Chequered Flag, the servicing of your smart car costs a fraction of the cost of Mercedes, without invalidating your dealer warranty. We love MCC Smart Cars at Chequered Flag, just as much as you love yours. We are very happy to help with any questions that you may have in relation to any of our used Smart Cars for sale, engines servicing or repairs. We also have full Mercedes Star diagnostic equipment onsite for all your Smart Car engines or gearbox diagnostic requirements. E-mail us at info@chequeredflaguk.co.uk and let us help. We are 15 minutes from Bluewater, Junction 2 - M2. WE HAVE A LARGE STOCK OF CARS AND PARTS AVAILABLE FOR SALE, EITHER LOOK AT OUR 'FOR SALE' PAGES, OR CONTACT US WITH YOUR REQUIREMENTS.